researchers, practitioners, developers, programmers, and students using neural networks in computer science or any of the many areas whre neural networks may be applied, including engineering, phusics, and business. Foundations. Classification. Autoassociation. Time Series Prediction. Function Approximation. Multilayer Feedforward Networks. Eluding Local Minimai: Simulated Annealing. Eluding Local Minima II: Genetic Optimisation. Regression and Neural Networks. Designing Feedforward Network Architectures. Interpreting Weights: How Does This Thing Work? 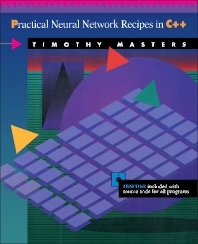 Probalistic Neural Networks. Functional Link Networks. Hybrid Networks. Designing the Training Set. Preparing Input Data. Fuzzy Data and Processing. Unsupervised Training. Evaluating Performance of Neural Networks. Hybrid Networks. Designing the Training Set. Preparing Input Data. Fuzzy Data and Processing. Unsupervised Training. Evaluating Performance of Neural Networks. Confidence Measures. Optimizing the Decision Threshold. Using the NEURAL Program. Appendix. Bibliography. Index.